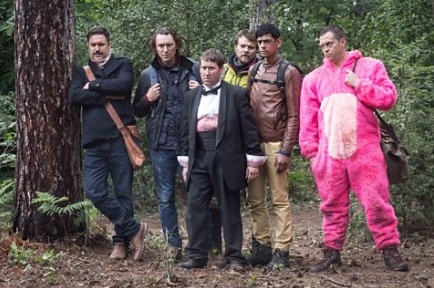 If you are at home tonight and fancy watching a dark comedy about a stag party being killed off one by one, then BBC 2 at 9pm tonight is the place for you. It’s about a group going on a stag do to Scotland on a hunting trip when they turn from hunters to the hunted. Directed by Jim Field Smith, who also directed the Wrong Mans, this 3 part series will hopefully have you crying with laughter and also hiding behind the sofa as the stag party gets ripped apart, literally. Think of the worst stag party you have ever been on, with people you barely know or care about even after the weekend, this is one hundred times worst than that, however you may spot similarities! If it’s anything like the Wrong Mans we are in for a treat. If you are reading this late, there is always iplayer. For further details and clips on the show head over to the BBC website – BBC Blogs – Stag. If you are in dire need of some Nose Bag, want to see a Blanket Finish, want to get yourself some Shortened Odds then you are probably looking for a Horse Racing weekend. Stag and hen parties looking for something totally different to racing karts or going for a pamper day can find themselves knee deep in an Each Way Bet, dressed up to the nines and truly loving life at a horse racing event. The atmosphere will swallow you up at the first race and spit you out at the last race and in between you will have the time of your life! 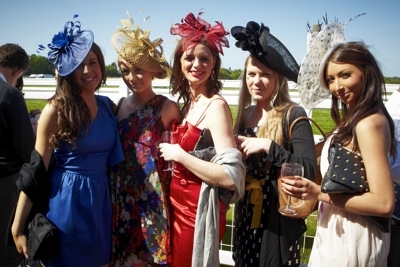 This year horse racing events at Ascot, Nottingham, Newcastle, Cheltenham and Chepstow* have some incredible racing meets over a weekend (suitable for a stag do or hen party). Our hen and stag do packages usually include 1 or 2 nights accommodation, return transport to the race course (you can truly let your hair down and not worry about driving) and entry into the races. Most race tickets will also include a a couple of beers or wine and some small tote voucher to get you on your way. Further details on our stag weekends that include horse racing, alternatively if you are looking for a hen weekend go here. Most venues don’t have a dress code in some areas like the Grandstand or Paddock however if you upgrade to the Premier stands then you will need to look smart, no jeans and trainers, that sort of thing. All horse racing venues will have restaurants, lots of bars, food wagons etc so your whole day is well and truly catered for. So if you are looking to do something totally different on your hen weekend or stag do we at DesignaVenture heartily recommend our horse racing weekends and nights, they are a sure winner. If you want to learn more horse racing jargon Horse British Racing has it all here, it’s like another language! *More horse racing locations then the above mentioned can be found at A Day at the races.